People reports that Jonas and Chopra tied the knot in a ceremony in India, Chopra's home country, on Saturday, Dec. 1, 2018. According to the magazine, the wedding was held at the Umaid Bhawan Palace in Jodhpur, Rajasthan. Chopra reportedly wore a stunning custom Ralph Lauren wedding dress, while her bridesmaids, Jonas, and his groomsmen also wore numbers by the fashion brand. Jonas' father, Paul Kevin Jonas Sr., was said to have officiated the Christian ceremony. Jonas and Chopra will reportedly continued their wedding festivities throughout the weekend, having a Hindu ceremony on Sunday, Dec. 2, as noted by Vogue. 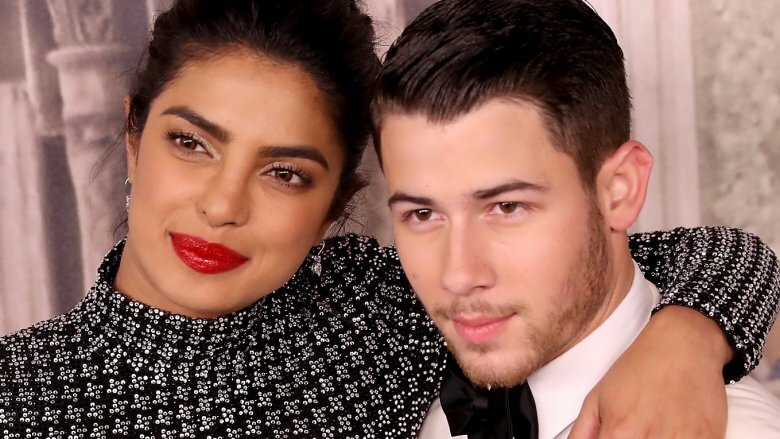 "It is super important to Priyanka to have an Indian ceremony that honors her heritage and culture, just as it's important to also have a Western ceremony that honors Nick's Christian upbringing," a source informed People earlier in the week. So, Jonas and Chopra are having both. The celebrity couple's wedding weekend actually started on Wednesday, Nov. 21, 2018. According to Vogue, Jonas and Chopra had "a puja ceremony (which took place at the bride's mother's home earlier in the week), a sangeet (a pre-wedding celebration that includes dances performed by relatives and friends), a mehndi ceremony (a private event in which the bride has traditional henna tattoos applied to her palms and arms), and a haldi ceremony (said to ward off evil and bless the couple)." Regarding all the events, Chopra quipped to Vogue, "People will need vacations after this wedding." Jonas and Chopra, who have an 11-year age difference, first made their relationship public in May 2018. They later announced their engagement that August, after Jonas reportedly popped the question in London on Chopra's 36th birthday on July 18. "Taken.. With all my heart and soul," Chopra captioned a photo of herself looking longingly into Jonas' eyes on Instagram. In his own post, Jonas wrote, "Future Mrs. Jonas. My heart. My love."